POSTS Everything you need to know about Malvasia in 5’! EVERYTHING YOU NEED TO KNOW ABOUT MALVASIA IN 5’! The term Malvasia refers to a group of vine varieties, historically grown in the Mediterranean region, the islands of Spanish archipelago and the island of Madeira. Over time their cultivation spread to Italy, Slovenia, Croatia, Portugal, California, Australia and elsewhere. 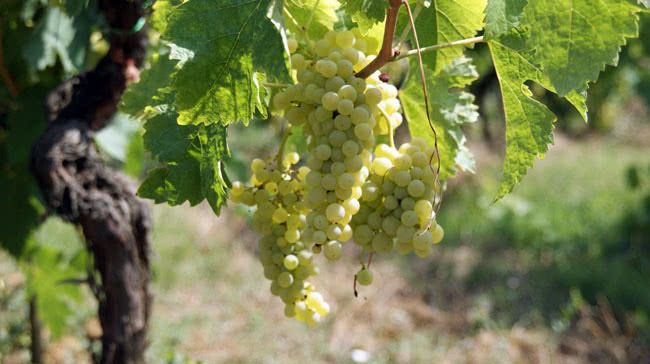 Most versions of the variety are very close to Malvasia Bianca. The only possible exception is Malvasia di Candia Aromatica which is a clone quite different from the basic range and it’s the one that we find in Greece. Grape variety Malvasia is one of the most controversial Greek varieties. In an unprecedented, for Greek data, story, both regions claim paternity of the variety and declare itself as a place of origin. 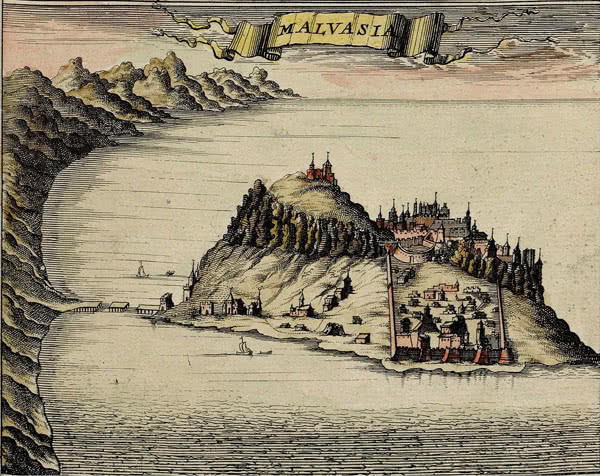 The first of these is Monemvasia, the Byzantine castle city which during the Venetian era, was called Malvasia. Pretty obvious, don’t you think? Monemvasia or Malvasia was the main center of commercial activity in the Peloponnese and some islands of the Aegean. In the Middle Ages the love and the epidemic of Malvasian wine (sweet wine from Malvasia) was such that the shops in Venice who sold it were called Malvasie. In contrast, the village Malevizi, just outside Heraklion, in Crete, lay claim to the paternity of Malvasia . In favor of this theory note that Crete, during the Venetian era, was called Candia. It gives wines of different styles, ranging from dry white wines with intense aromatic character to sweet wines for which was primarily known in the past. It is characterized by rich, velvety body, intense floral aromas and, quite often, residual sugar. Aromatic, characteristic aromas are apricot, peach, jasmine and pear. Malvasia di Candia Aromatica clone, has returned to Greece and gives wines with great aromatic intensity, fruity and floral character and medium plus acidity. The most famous sweet version of this variety is Madeira, and it is characterized by intense smoked aromas and sharp acidity. Accompanies salads, fried fish, shellfish and poultry, baked chicken, turkey and white cheeses. Malvasia di Candia Aromatica clone is grown, primarily, in Heraklion and Chania, of Crete. It is found in the islands of Cyclades and mainly, in Paros and Syros. It is grown to a lesser extent in the southern Peloponnese and Northern Greece.